Wild Fig Media offer personalized search Engine Optimsation or seo service in the Manchester and the surrounding areas. 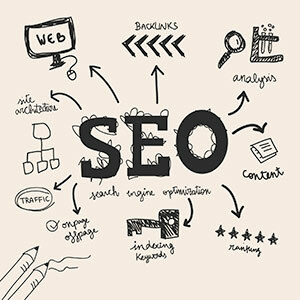 Search Engine Optimisation when done correctly can sustain long periods of rankings in the search engine results. Organic SEO is about fundmentally looking at aspects of your website build, efrom the website archtecture ensuring that it SEO changes that will be made can be achieved and ran be spidered properly.As many of the Search Engines look to new or modified content as important factors when looking at the site content, spending money slowly over a period of time may be a another choice for small businesses who do not have large marketing budgets. We offer many levels of seo and social media consultation if you would like us to work with you or your current web development company. We offer once off consulting and a "Once Off Fix" or you can choose from a range of monthly monitored campaigns at affordable rates. With the number of websites that are growing daily on the internet for Manchester, it is essential that this area of internet marketing is done in a regular, consistent and ongoing manner, as organic seo specialists we can take care of this for you whilst working very closely with you.